Including Godzilla: Planet of the Monsters and Castlevania. (SPOT.ph) AsiaPOP Comicon Manila 2018, which happened from July 27 to 29 at the SMX Convention Center, might have left you with a major case of conventionitis. 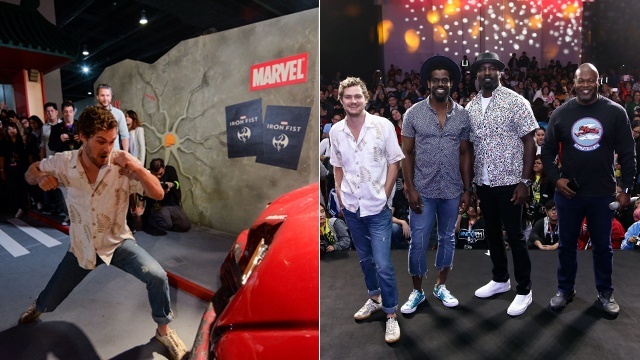 So, we're taking a look back at what made Netflix’s first Hall presentation—that took place on July 28—one of our AsiaPOP Comicon (APCC) highlights. Hall N served a generous amount of hype and boasted quite a lineup: Takashi Yoshizawa (Godzilla: Planet of the Monsters), Adi Shankar (Castlevania), Marvel's Luke Cage showrunner Cheo Hodari Coker, Mike Colter (who plays Luke Cage), Mustafa Shakir (Bushmaster), Marvel's Iron Fist’s new showrunner Raven Metzner, and Finn Jones (who plays Danny Rand on Marvel's Iron Fist), plus a few more surprises along the way. 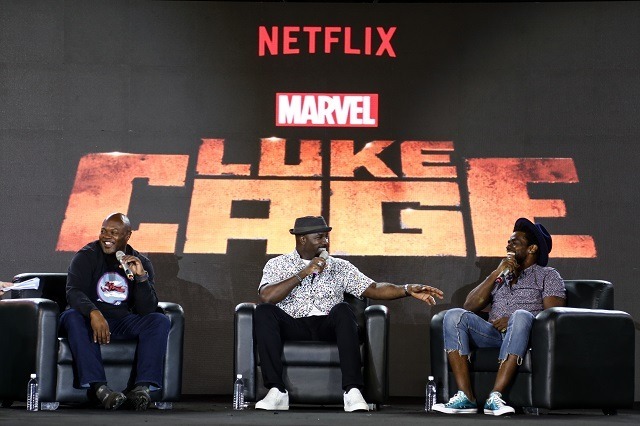 Team Luke Cage was in full force at Hall N with Mike Colter, Mustafa Shakir, and Cheo Hodari Coker. SPOT.ph got to talk to them during the exclusive Netflix media conference—there are some mild spoilers if you haven’t seen the current season—giving us more information on the many surprising moments taking place in the second season. 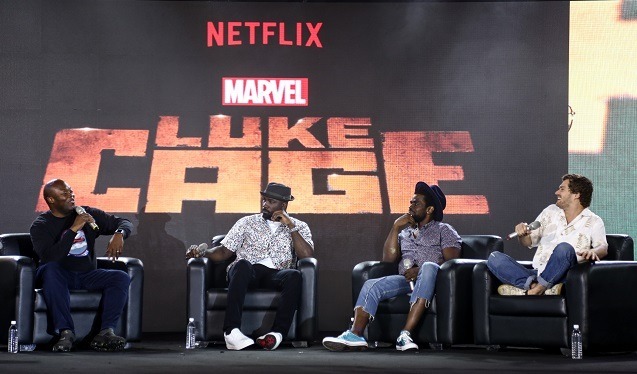 When discussing Luke’s character evolution in the current season, showrunner Coker explains, “If you’re looking at Luke Cage, he’s now more morally ambiguous. It gives you more room to explore his character. This season was about expanding and deepening Luke Cage. If we’re lucky enough to get a season 3, we’ll go darker and deeper in terms of, ‘Who is this guy? And do we really know him?’"
Coker adds that Bushmaster was a fascinating character because he turned out to be an anti-hero and you understand the motivations for his actions. Shakir, who plays Bushmaster, explains the correlation between him and his character. “Tenacity. The idea of not giving up is just not in my vocabulary at all. Fierceness. 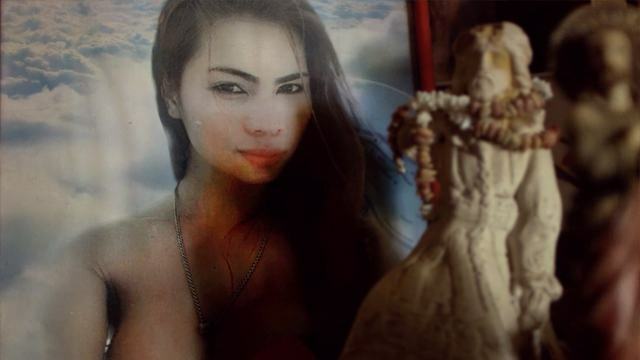 I feel like anything that I want, I'm a hundred and thousand percent about it. That's how tenacious I am. The physicality, his smarts, he's charismatic. The only thing he does that I don't do is behead people…and eat meat." 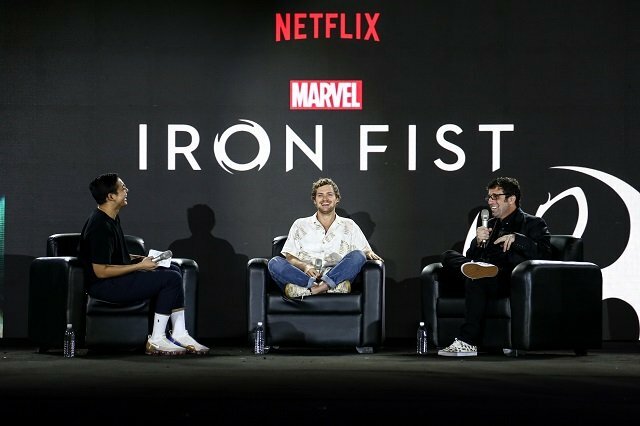 Raven Metzner grew up reading comic books, and so spearheading Iron Fist was a fanboy dream come true. 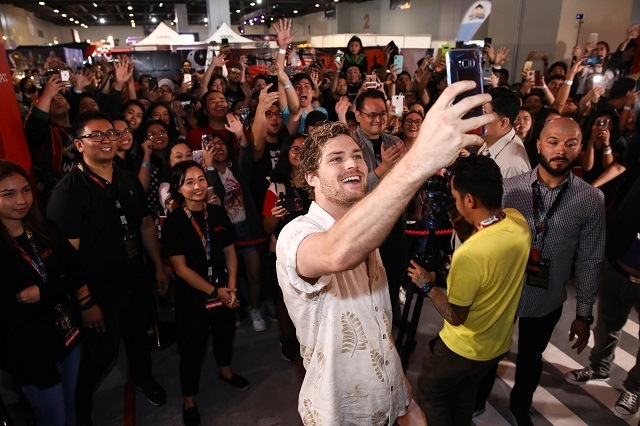 The show’s lead, Finn Jones, also reveals during an APCC media session that he also has his geeky moments. He’s already known for being an audiophile but he also keeps a stack of Iron Fist comics books by his bedside. He’s also fond of Adventure Time and Studio Ghibli films (his fave is Pom Poko) and even sang the Ponyo theme song for fans. 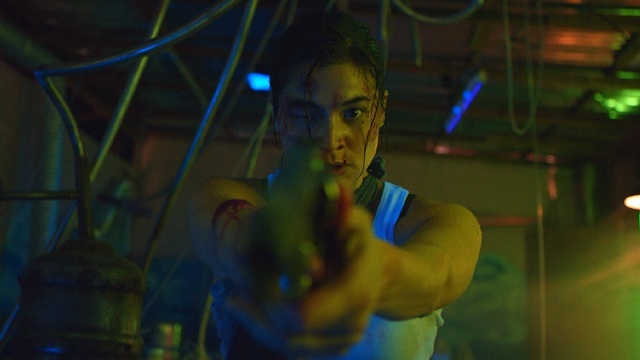 On what fans can expect from season 2, Metzner shares, “There’s some really elevated action [scenes]—it’s pretty amazing. We really made an effort to be on the streets of New York City.” Considering they hired Black Panther’s fight coordinator Clayton Barber to handle the show’s stunt work, we’re looking forward to one heck of a brawlfest. We’ve seen glimpses of the Defenders’ comic-book counterparts in their respective solo series. We saw Luke’s '70s style garb in the first season of Luke Cage, Trish was holding up a white spandex suit at one point in Marvel's Jessica Jones, and Matt Murdock can be seen running around in his full costume in Daredevil. But where is Danny Rand’s mask? In a blink-and-you’ll-miss-it moment from the second season’s trailer showing Danny’s time in K’un-Lun. See if you can find the mask plus other hints of what season 2 has in store for fans. Castlevania producer Adi Shankar was already a fan of the video-game franchise. The long-time gamer even rocked a Power Glove, a Nintendo accessory from the early '90s, during the Hall N anime panel. When the enormity of the show’s influence was discussed and how it could become a childhood inspiration, he jokes, “If a six-year-old is watching Castlevania, then there’s something wrong. Bad parenting!” He discusses how they had to build their production process from the ground up as Western animation still held the stereotype of being a medium catered exclusively to children or used as a form of comedy. Growing up in Asia, Shankar understood the woes of always being behind with pop cultural events since most premieres and launches took place in the West. And so, with that in mind, he decided to debut Castlevania’s Season 2 trailer. He also talks about how it felt to be a driving force in the series. “As an artist, your dream is to have a semblance of an impact on the culture. Especially if it’s the culture that impacted you, right? I’m processing the world through nerd culture and to have the opportunity and privilege of not only being able to play a role, but to have some semblance of an impact on nerd culture? It’s a dream come true.” The second season comes out in October 2018. The kaiju (a.k.a. strange beast) has been around for decades and as the creator of the movie, Takashi Yoshizawa puts it, “Godzilla is a part of our daily lives in Japan,” and somehow this year’s feature was the first time that the well-loved character is adapted into an anime. Yoshizawa continues explaining that since Godzilla is treated as a national treasure, there was immense pressure to do it right in terms of using state-of-the-art computer graphics and giving the story justice. “We didn’t want to portray Godzilla as an antagonist because in reality, we [humans] might be the bad guys.” Yoshizawa shares that the Planet of the Monsters version of Godzilla is the largest scaled version to date (even compared with the live-action adaptations).